By leveraging our 15 years’ experience, we are able to unearth difficult to reach talent which might not always be visible through standard search methods. Today, our reach enables us to draw candidates by going beyond core Head Office functions and attracting niche skills. 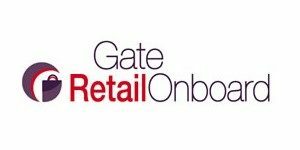 Working closely with market leading retail brands including high street retail, travel retail and online e-tailers, we identify key talent within buying, merchandising and new product development. Understanding the intricacies within these roles in relation to soft, hard and negotiation skills, supplier relations and vendor management is paramount to our clients, especially since retail is such a competitive market place. We recognise modern retailers will go above and beyond the traditional methods to attract consumers to create experiential environments to engage retail sales. We have engaged in campaigns attracting new skills within Space Planning, Experiential Retail and eCommerce helping our clients be the most strategically competitive in their respective sectors. Do Accountants contribute towards making businesses successful?